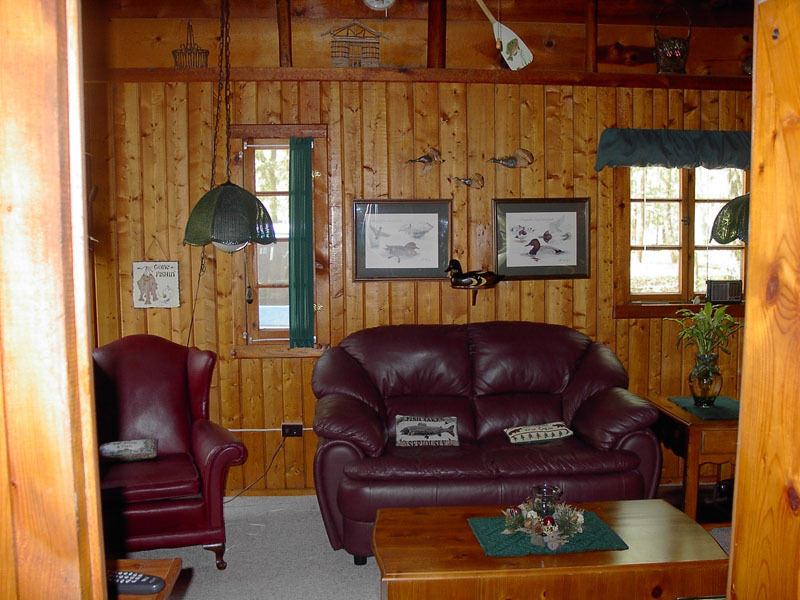 Located at 8604 Deadstream Rd (about 500 ft from the Little Platte Lake) has all the modern amenities including cable television in the family area and master bedroom. 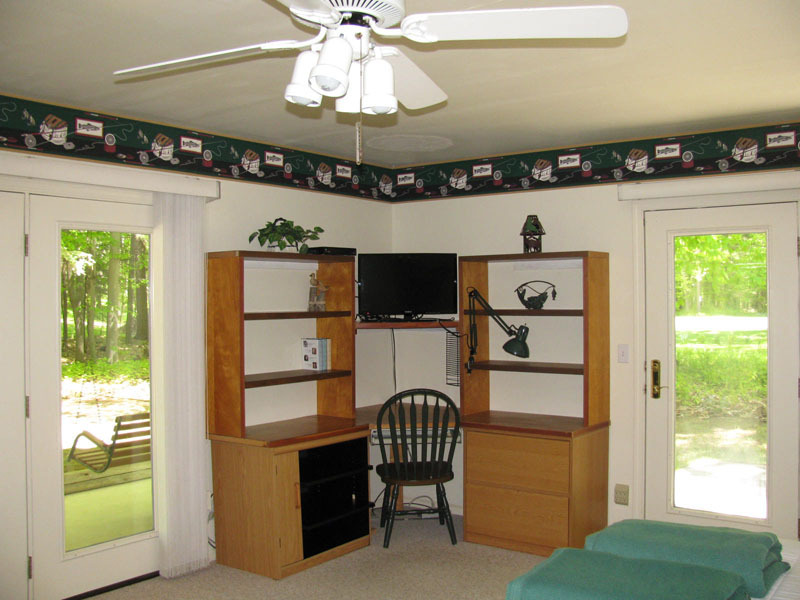 You will find this and all the rentals clean, comfortable and nicely decorated. 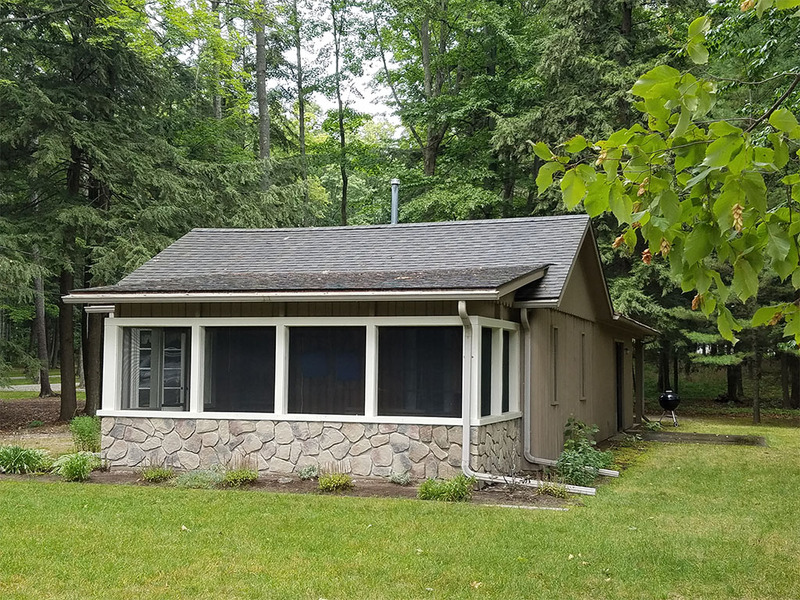 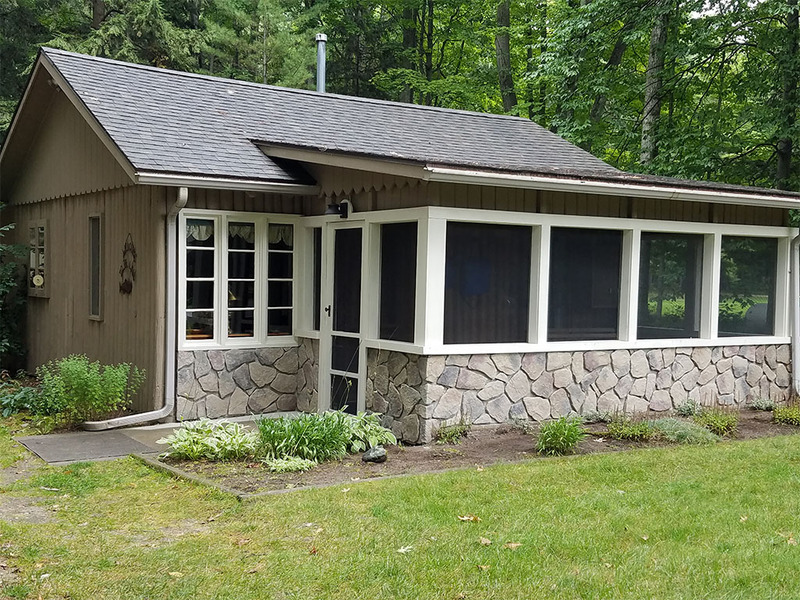 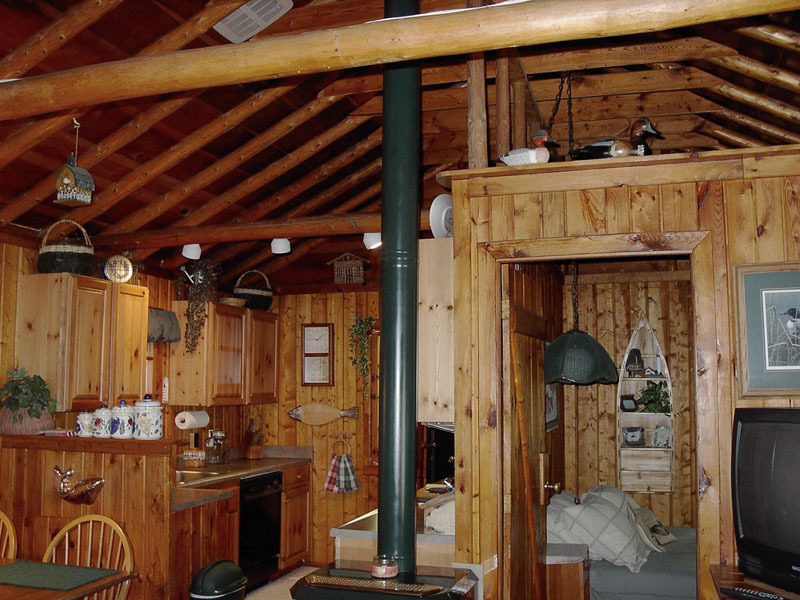 Spacious master bedroom at the back of the house is 18 x 22 with a queen size bed, cable TV with DVD player and a covered patio that faces the woods. 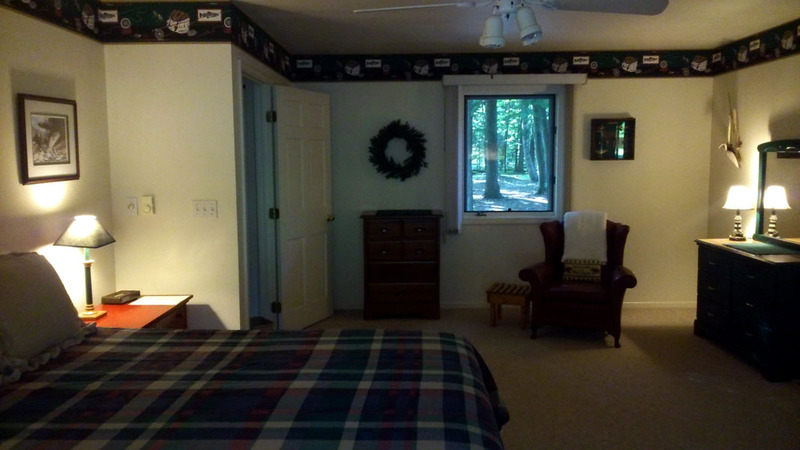 Guest bedroom at the front of the house has one full size bed. 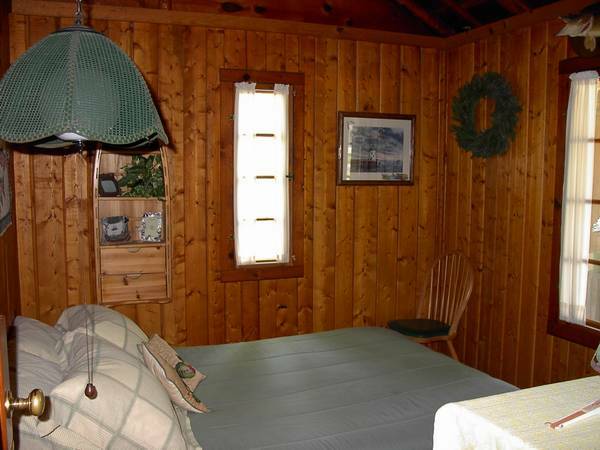 Bedrooms include pillows and blankets. 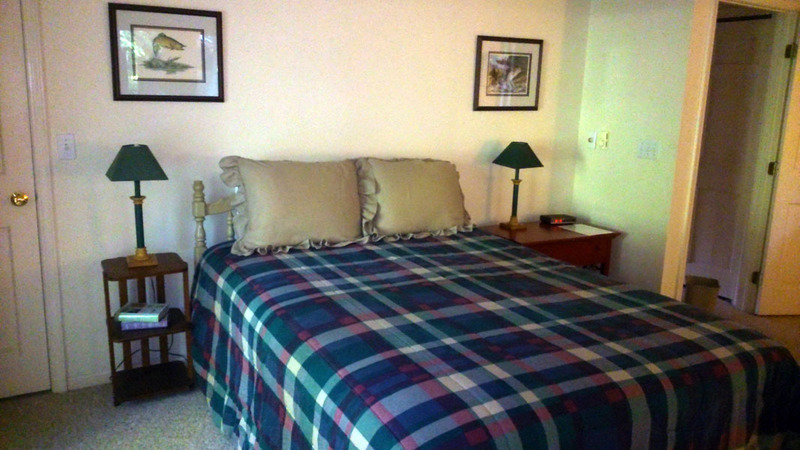 Linens are NOT provided, but you'll find clean mattress pad covers and pillow protectors when you arrive. 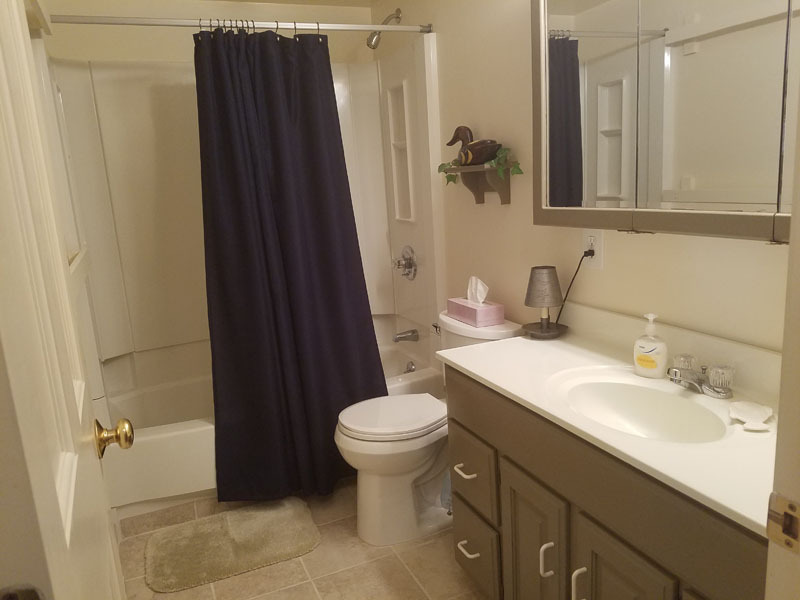 Modern bathroom with full tub/shower and all the amenities. 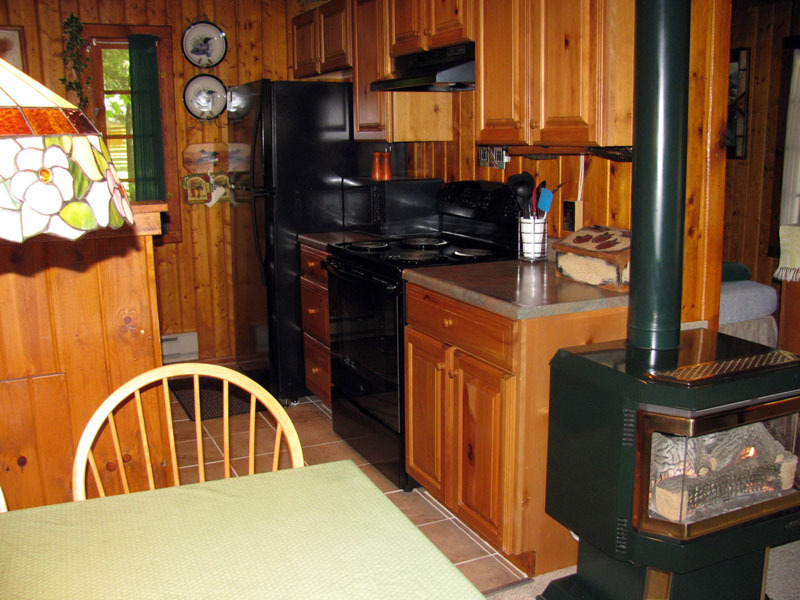 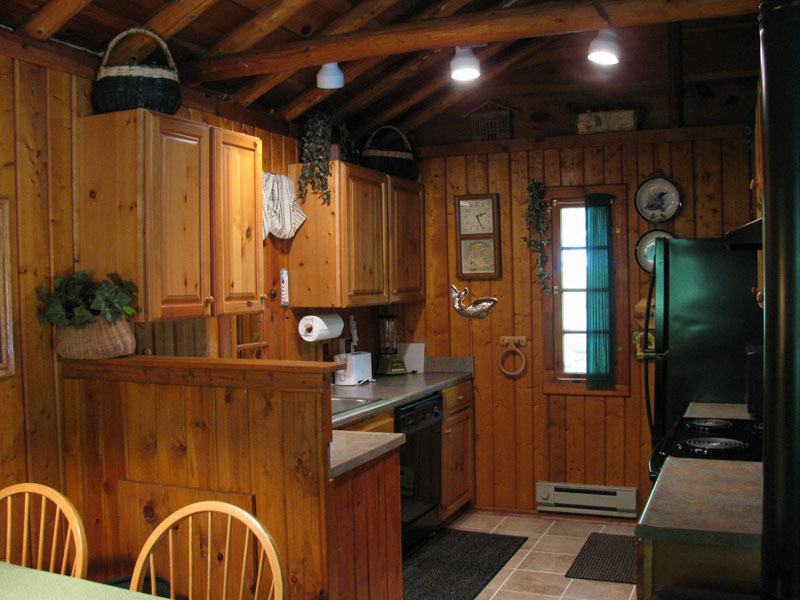 Fully equipped modern kitchen includes microwave, dishwasher, and all dining and cooking utensils. 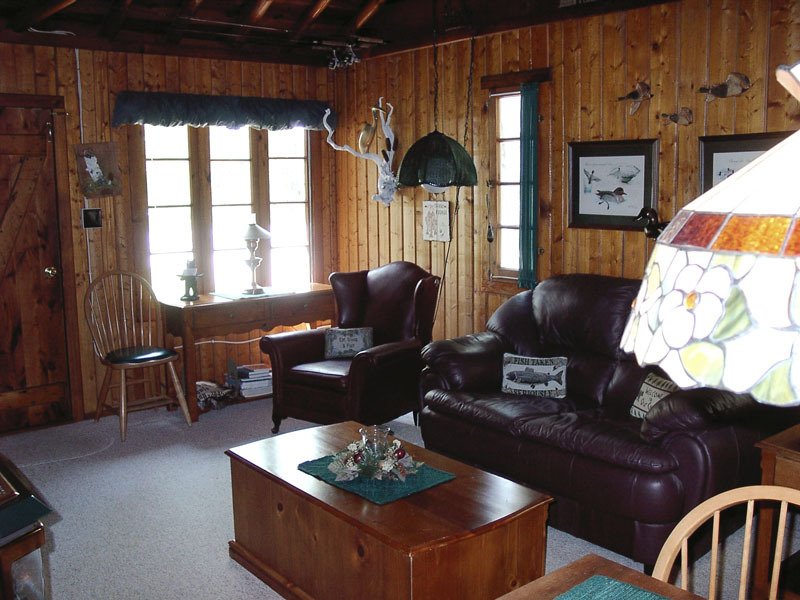 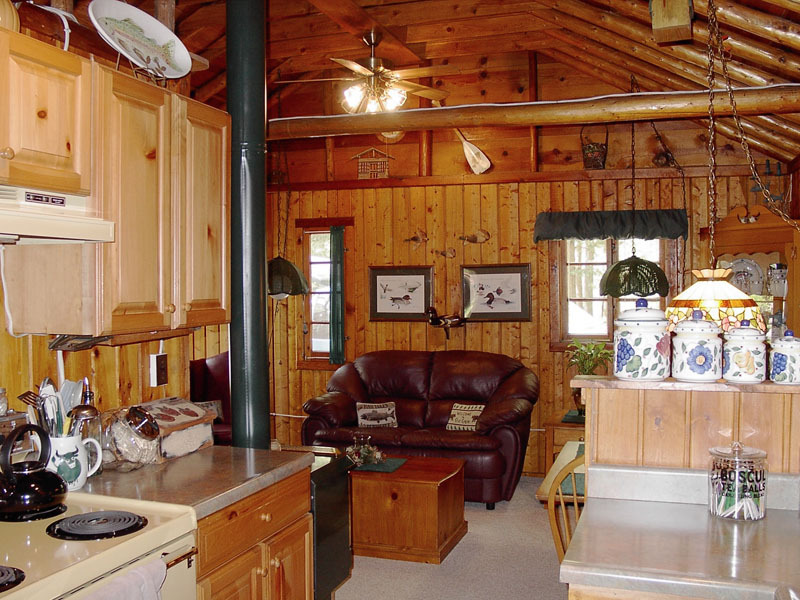 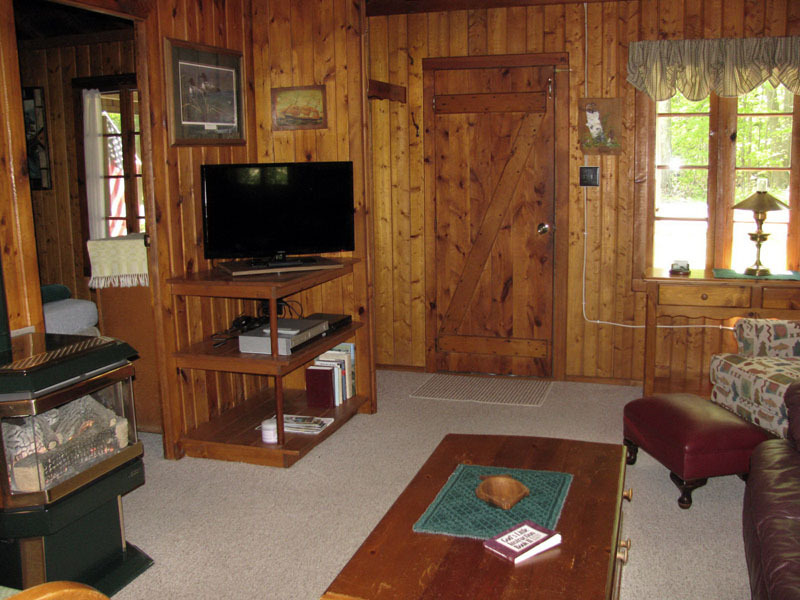 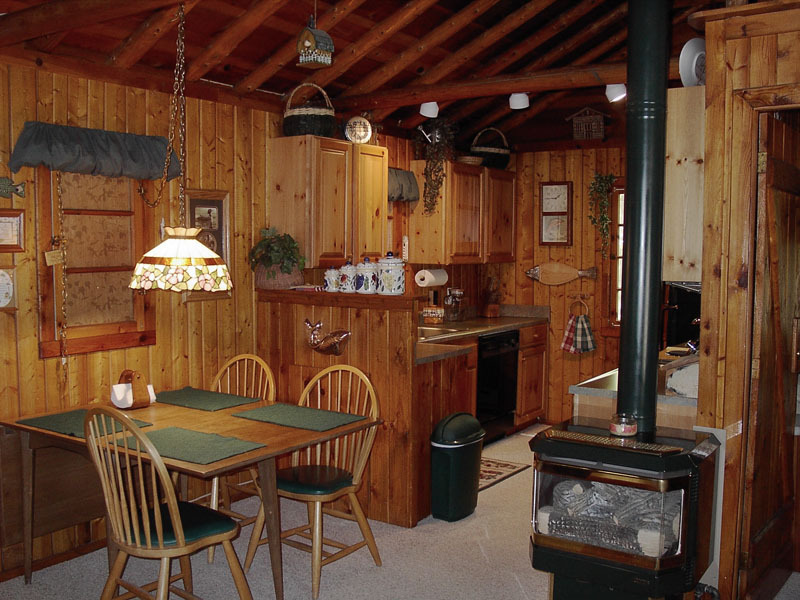 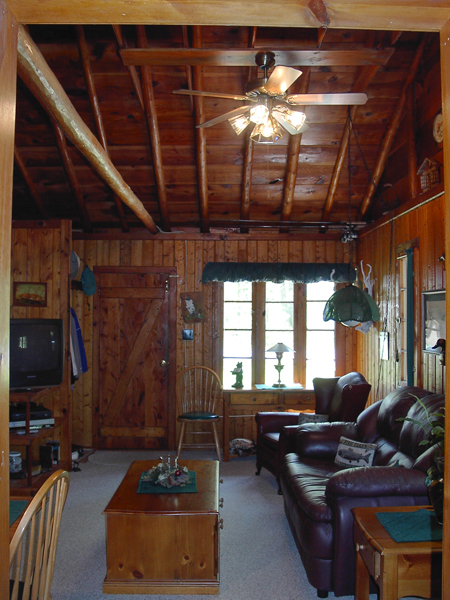 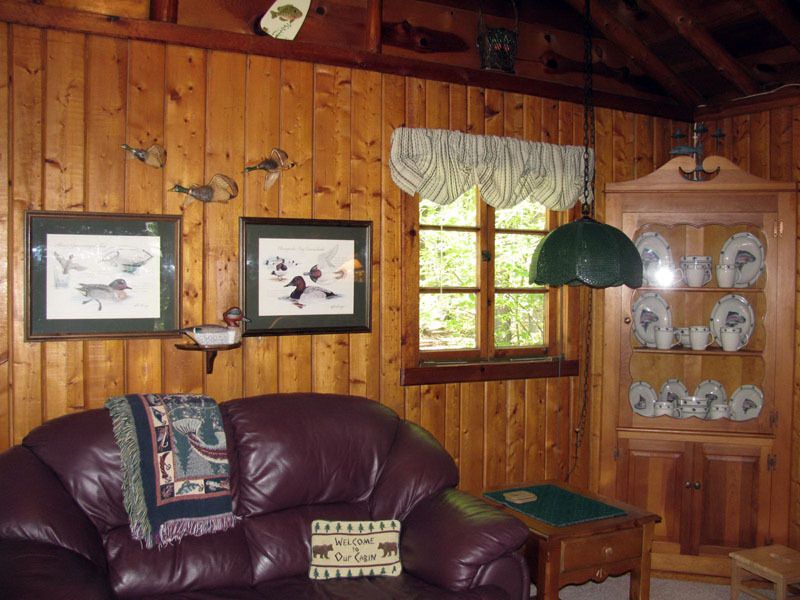 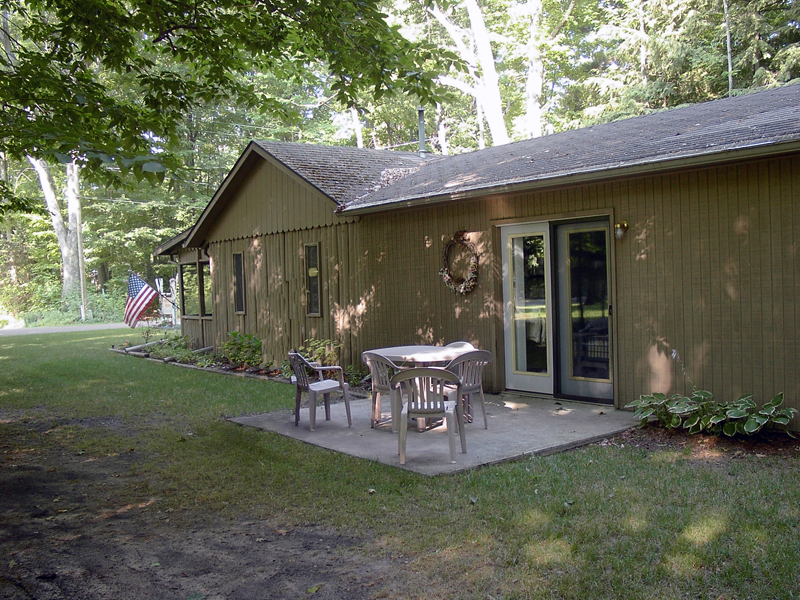 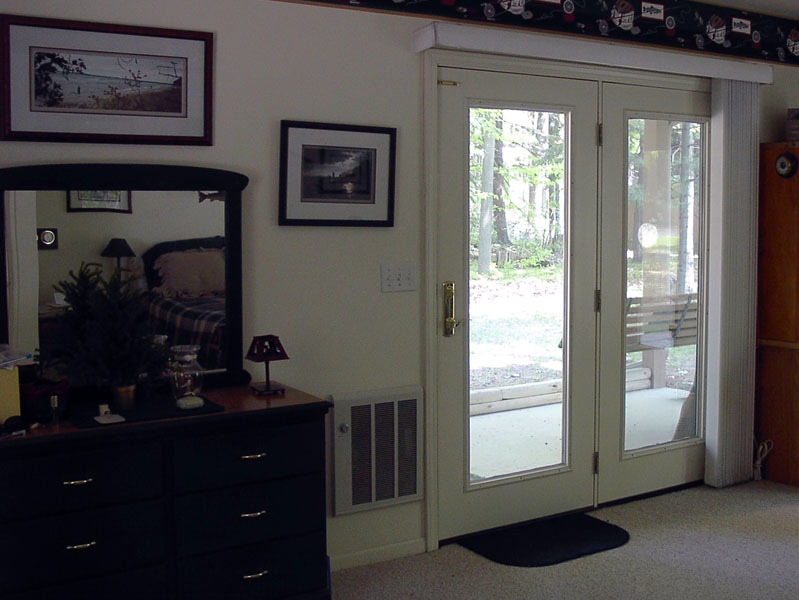 The comfortable living area has cable TV with DVD player and opens into large screened in covered porch.